Australian Rules football, simply called Aussie rules, is a sport that originated in Melbourne, Australia in 1858. Australian Rules has a proud history with the Melbourne Football Club publishing the first laws of the game in May 1859, making it the oldest of the world’s major football codes. The Victorian Football Association (VFA) was established in 1877 before a split in the game saw six of the strongest clubs - Collingwood, Essendon, Fitzroy, Geelong, Melbourne and South Melbourne - break away from the VFA. They invited Carlton and St Kilda to participate in the inaugural Victorian Football League (VFL) season in 1897. The VFL's inaugural season made changes to the competition structure, namely including an annual finals tournament and establishing the modern scoring system where six points are awarded for a goal and one point for a behind. In 1908 the VFL expanded to ten teams with the addition of Richmond and University Football Clubs. University were a disaster, finishing last in each season from 1911-14 and losing 51 consecutive matches in a row, forcing them to withdraw from the VFL at the end of 1914. Footscray were the premiers of the VFA in 1924 and defeated VFL premiers Essendon in the Championship of Victoria. As a result Footscray, Hawthorn and North Melbourne gained entry into the VFL from the VFA in 1925. Melbourne were dominant during the 1950s and early 1960s under legendary coach Norm Smith and influential midfielder Ron Barassi. 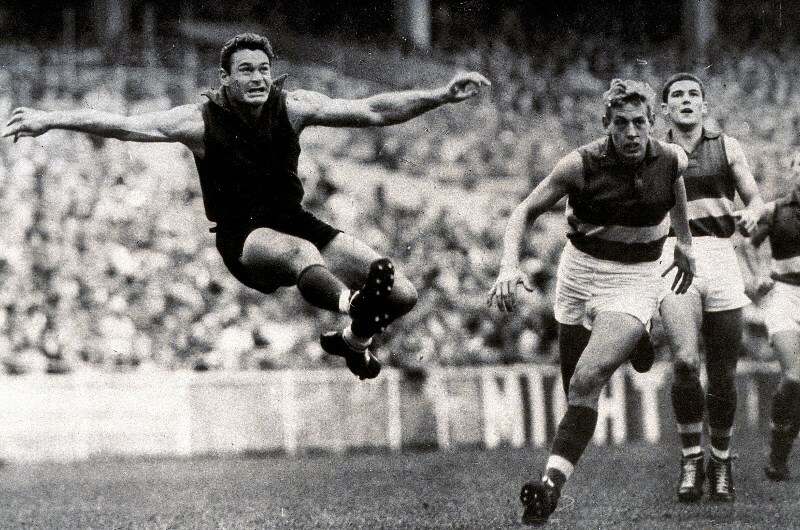 The Demons qualified for seven consecutive grand finals between 1954 and 1960, winning five premierships including three in a row from 1955 to 1957. The 1980s saw the structure of Australian football change around the country. The VFL was the most dominant state league and used their financial power to recruit top interstate players. Some of Victoria’s weaker clubs struggled to survive, with the South Melbourne Swans becoming the first VFL club to relocate interstate. South Melbourne renamed themselves the Sydney Swans in 1983 and became a successful team due to the private ownership of wealthy Dr Geoffrey Edelsten. In 1986, the West Australian Football League and Queensland Australian Football League were awarded licences to establish teams in the VFL. This led to the creation of the West Coast Eagles and Brisbane Bears who joined the VFL in 1987. The first National Draft was introduced in 1986 and a salary cap was introduced in 1987 which have remained since. In 1990 the competition's name was changed from the VFL to the Australian Football League (AFL) which reflected the introduction of interstate teams. 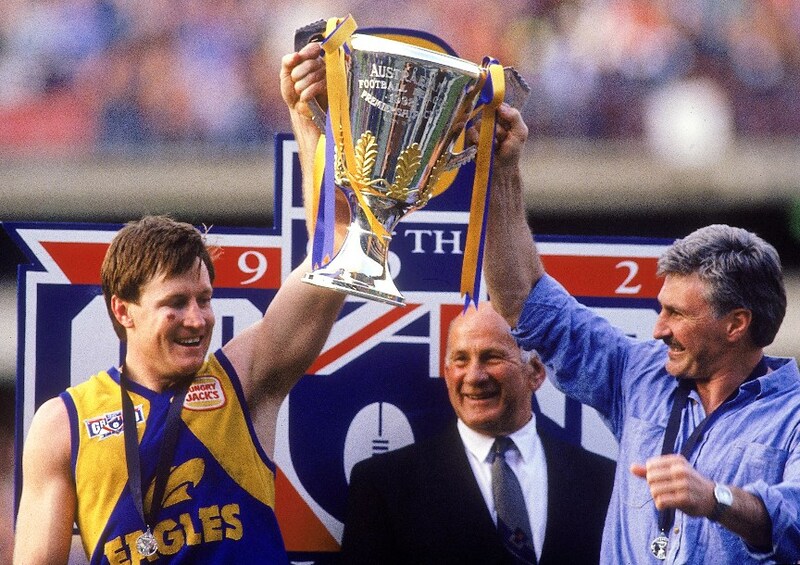 The West Coast Eagles won the AFL Grand Final in 1992 to become the first non-Victorian team to win an AFL premiership. The Adelaide Crows joined the AFL in 1991 and in 1994 the Fremantle Football Club was formed in Western Australia, joining the AFL in 1995. Port Adelaide were awarded an AFL licence in 1994 but had to wait until Victorian team folded or merged. Fitzroy merged with Brisbane to form the Brisbane Lions at the end of 1996 which allowed Port Adelaide to enter the AFL for the 1997 season. The 1990s saw many Melbourne-based teams move from smaller suburban venues to the larger MCG and Waverley Park. As such, the last matches were played at Windy Hill (Essendon), Moorabbin Oval (St Kilda), Western Oval (Footscray) and Victoria Park (Collingwood) with Princes Park abandoned by Hawthorn and then Carlton in 2005. The AFL sold Waverley Park stadium in 1999 which facilitated the construction of a new stadium at Melbourne's Docklands. The AFL continued to expand with the introduction of the Gold Coast Suns in 2011 and Greater Western Sydney Giants in 2012. The first AFL match for premiership points was played in Shanghai, China on the 14th of May 2017 with Port Adelaide defeating the Gold Coast by 72 points. The Australian Football League (AFL) is the premier competition in Australian rules, consisting of 18 teams spread over five of Australia’s six states. The regular season begins in March and features 23 rounds before the top eight teams contest the finals series, culminating in October in the AFL Grand Final at Melbourne Cricket Ground. The AFL has the highest spectator attendance and television viewership of all sports in Australia. The AFL Grand Final is the highest attended club championship event in the world. What is the 2019 AFL season? The 2019 Australian Football League season will be the 123rd season of the elite Australian rules football competition and the 30th under the name 'Australian Football League', having switched from 'Victorian Football League' after 1989. There are 18 teams competing in the league, the same as the previous seven seasons. The season will feature two matches played in new stadiums: St Kilda will host Port Adelaide in Shanghai and Gold Coast will play St Kilda at Tony Ireland Stadium in Townsville in round 13. The AFL season currently consists of a pre-season competition known as the JLT Community Series. When does the 2019 AFL season start? The first game of the 2019 AFL season will be played on Thursday 21 March, the season will conclude with the 2019 AFL Grand Final on Saturday 28 September. Who are the AFL defending champions? 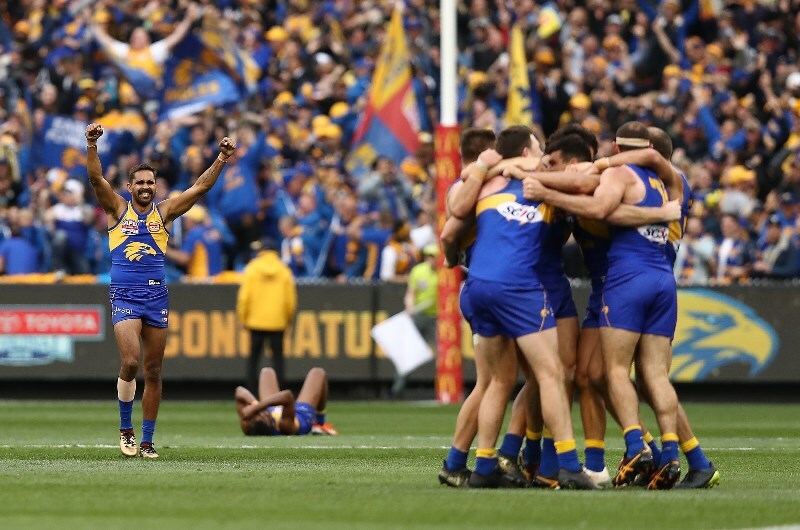 The West Coast Eagles are the defending champions after beating Collingwood 79-74 in the 2018 Grand Final, winning their fourth AFL premiership. What happened in the 2018 AFL season? Richmond Tigers won the minor premiership on 72 points with West Coast Eagles in 2nd position on 64 points. Collingwood Magpies and Hawthorn Hawks both finished on 60 points with Melbourne Demons, Sydney Swans, GWS Giants and Geelong Cats rounding off the top eight. Geelong and Sydney were eliminated in week one of the finals with Hawthorn and GWS Giants falling in week two. In the preliminary final stage Collingwood defeated Richmond 97-58 and West Coast defeated Melbourne 121-55. In the AFL Grand Final in front of 100,022 spectators at the MCG, West Coast produced a big comeback after Collingwood kicked the opening five goals to open up a 29-point lead late in the first quarter. The Eagles held on for a thrilling 11.13 (79) to 11.8 (74) victory, Luke Shuey the Norm Smith medallist as West Coast claimed their fourth premiership. Who were the recent AFL Grand Final Winners and Runners-up? Who are the most successful AFL clubs? The Carlton Blues and Essendon Bombers have each won 16 VFL/AFL premierships with the Collingwood Magpies next best with 15. The Hawthorn Hawks have won 13 premierships, Melbourne Demons 12 and Richmond Tigers 11 followed by Geelong Cats on nine. The Sydney Swans have won five premierships with North Melbourne Kangaroos and West Coast Eagles next best with four each. Who are the favourites to win the 2019 Grand Final? Richmond are the early favourites to win the 2019 AFL Grand Final followed closely by Collingwood, West Coast and Melbourne. Essendon, Greater Western Sydney, Geelong, Adelaide and the Sydney Swans are next in the betting market and all have some chance. The unfancied teams include Hawthorn, Port Adelaide, North Melbourne with little hope given to Western Bulldogs, Brisbane Lions, Fremantle, St Kilda, Carlton and the Gold Coast. What are the latest 2019 AFL season betting odds? Richmond Tigers lead the pre-season betting market with little separating Collingwood, West Coast and Melbourne. Gold Coast are given no chance and are predicted to pick up the wooden spoon. Here at FreeTips.com we provide regular Australian Rules Tips which include our AFL bet of the round, AFL cccumulator tips and AFL outright tips including season winner and wooden spoon. We have one mission at FreeTips.com, to provide you with free expertly researched Australian Rules tips that you can use to consistently win your AFL bets. Head to Head: Also known as the win market, simply select which team you think will win the game. Line: The line in Australian rules is simply a handicap. If the line is set at -29.5 against your team, they must win by 30 points or more for your bet to cash. Alternatively, if the line is +29.5 for your selected team, they must lose by 29 points or less for your bet to cash. Total Match Points: The bookmaker will set a total number of combined points to be scored in the match, you select if the total will go over or under that number.